The bankruptcy process is very intimidating. Many people believe that bankruptcy can ruin their credit forever AND impact their reputation with friends and family. There are many more myths than the ones listed here, but these are the most important for you to understand. Where does this bankruptcy misinformation come from? The people who would benefit the most for you not to file – the banks, debt settlement, debt consolidation and loan companies. I hope this helps clear some of these huge mistruths and helps you to make the most advantageous decision possible for your situation and your life. A resounding Not True! Even if you have made some mistakes. The fact that you are in this situation is because of much bigger issues than anything you have actually done. Nobody wants to file bankruptcy. Though the ‘anti-bankruptcy’ extremists would like to make it sound differently. The truth is that less than 1% of people who file bankruptcy are abusing the system. Almost everyone that files bankruptcy is honest, hardworking and good people. A Harvard University Study found that most bankruptcies are most likely linked to health issues. You are probably thinking of bankruptcy because despite your best efforts, the job market, or job loss, or a medical problem, or the unexpected expense or a divorce. I want you to keep your dignity. I want to help you understand that even if you have things you could have done better, you should not beat yourself up because of this small bump in the road. It may not seem like it right now, but this too will pass. You will look back on this time and wonder why you were so worried about making the decision to file bankruptcy. It might also make you feel better to click here to see the list of famous, brilliant and beautiful people who have also filed bankruptcy. Not true. This might be the most famous and most dangerous myth. The debt settlement companies, credit card companies and debt consolidation companies LOVE this myth. It scares so many people away from bankruptcy. It also scares them into wasting money on debt negotiation and liquidating everything to pay debt that would be discharged in bankruptcy without liquidating 401k’s and other retirement accounts. Nevertheless, it is a total lie. Bankruptcy will not prevent you from getting a pretty good credit score in about two years after your discharge. Bankruptcy will not prevent you from getting a good low rate on a car or a house. In some circumstances, even as soon as one year after your bankruptcy! My clients do it all the time. They are always amazed how quickly their credit scores recover. It is true that bankruptcy can stay on your credit report for up to ten years. That is where the “Ten-Year” number comes from. Most people who filed bankruptcy improve their credit score within months. Often bankruptcy will IMPROVE your credit score faster than going through a debt settlement or debt consolidation because it stops all those late payments or lack of payment reporting. Not True. More often than not people who file bankruptcy do NOT lose their stuff. And with either a Chapter 7 bankruptcy or Chapter 13 bankruptcy, a pending foreclosure or repossession can be halted. With a Chapter 7 bankruptcy you can keep a house, vehicles and personal property, if you are current on secured debt payments and if the property value is exempt. With a Chapter 13 Bankruptcy, you can also keep a house, multiple vehicles and personal property, even if you are behind on your payments through a debt repayment plan. You need to consult with me, an experienced bankruptcy lawyer. Many of my clients file a Chapter 7 Bankruptcy even though they have houses, vehicles or apartments, and they get to keep their houses, vehicles and apartments! The Bankruptcy Law provides Bankruptcy Exemptions that work like a shield and protect specific amounts of your stuff. Don’t guess. Call me to be certain. Not True. This is another HUGE myth that scares a lot of people who need bankruptcy but don’t because of this myth. As long as you qualify to file for bankruptcy, you can ABSULUTELY file bankruptcy alone, even if you are married. The bankruptcy trustee may want to see evidence of your spouse’s income but your bankruptcy will not have anything to do with your husband or wife. It will not impact your husband or wife’s credit score or their own debt. Any assets your spouse owns will be safe as long as they REALLY do belong to your spouse. Speak with me, a bankruptcy lawyer to discuss this further. I can give you sound advice as to how you can file bankruptcy and leave your spouse out of it. 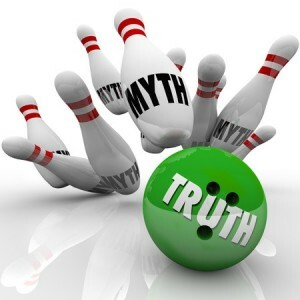 Additional Bankruptcy Myths and Lies: There are a lot more myths about bankruptcy. Not necessarily. With a Chapter 13 payment plan, Lawyer Christopher German can petition the Colorado Bankruptcy Court to reduce debts owed on secured and unsecured creditors to protect your real and personal property. Often, you can pick those creditors you wish to pay off in full. Typically, unsecured creditors get only pennies on the dollar over a three to five year period. False. Even if you have already filed for bankruptcy in the past, depending upon how much time has passed, you can file for bankruptcy again. The type of case filed and relief obtained and the may vary. If you compare how much debt can be discharged and how much time you need to put in to accomplish the bankruptcy against how long and hard you will have to work to pay it off and still survive, it will be the highest paying job you ever had. All Not true. The Law Office of Christopher German makes the bankruptcy process easy for you. We guide you through the entire bankruptcy process and help ensure that your financial picture quickly improves. in Denver and other areas of Colorado file for Bankruptcy. Contact The Law Office of Christopher German 720-675-8070 and become armed with the facts and details you need.